We are the leading supplier of Lubricant induction wadsmade from high quality material at competitive prices. Induction sealing wads, latest technology for leakage proof. 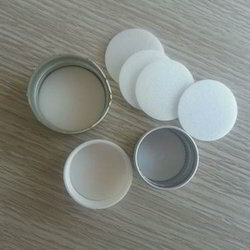 Our company has been widely acclaimed for providing our clients with this extensive range of Epe Wads. This EPE wad is manufactured from the finest quality material & modern machines as per the set norms of industry. 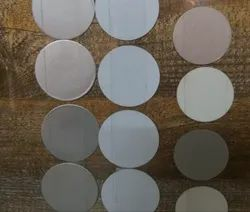 The offered EPE wad is an exceptional sealing material and thus preserves the properties of the contents it seals, such as chemicals, hygroscopic material, medicines & fruit juices. We offer our EPE wad in varied sizes to meet the individual needs of our esteemed customers. As per the specific needs of the clients, we are engaged in providing a high quality range of EPE Liners. We have uniquely positioned ourselves as the topmost enterprise, engaged in offering EPE Liner Wad. 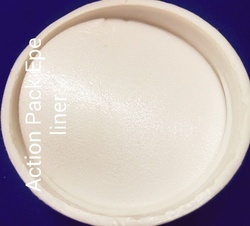 In pharma, chemical and food industries, these liners wads are immensely used for packaging purpose. The offered liner wad is manufactured using world class material under the direction of professionals as per the latest market trends. 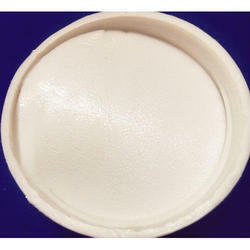 It is extensively used for leak proof packaging of food items in the glass jars. Set as to attain the level of client gratification, we are engaged in offering a best array of EPE Liner Wad in the market. These offered products are rigorously tested by quality examiners on well-defined measures to make sure their excellence. Apart from this, these offered products are delivered at clients end within stipulated time frame.